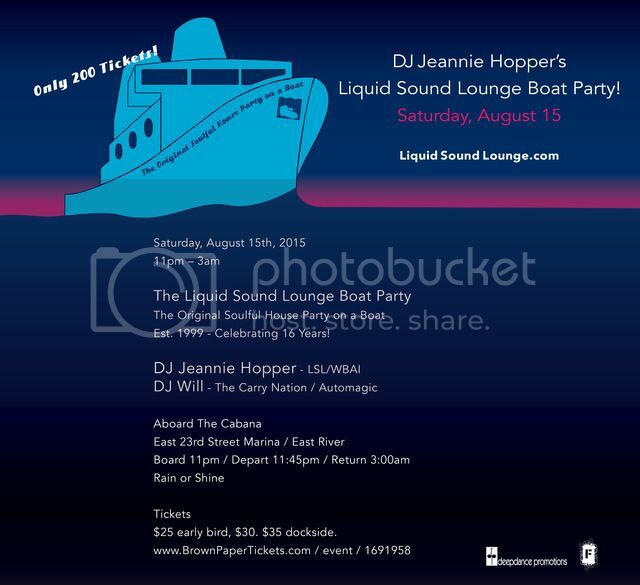 The originators of the soulful house music dance party rockin' on a boat! Highly anticipated annual affair going back to 1999, and we haven't stopped partying like it's 1999 since...simpler times. For people who want a good 'ole sweaty dance party with great peeps on a positive tip harkening back to the OG days of the Paradise Garage, The Loft, The Gallery. Tickets $25 early bird / $30 / $40 dockside. *Cash/Credit Bar. Rain or Shine barring water conditions. Tickets available at Rebel Rebel Record Store- 319 Bleecker St, West Village. Proceeds go to support the new radio studio build for WBAI!